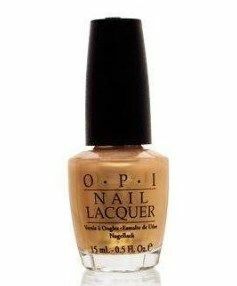 OPI Nail Polish, Curry Up Don't Be Late, NLI49, .50 fl. oz. Yellow gold frosted shimmer nail color.